Former Democratic presidential candidate Hillary Clinton says she is “shocked and appalled” at reports about her friend Harvey Weinstein. 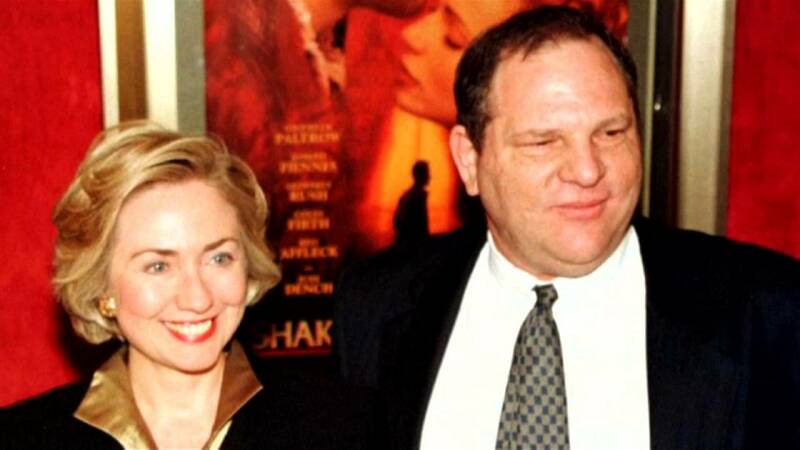 The Hollywood producer, who has had allegations of sexual harassment made against him, has donated thousands of dollars to Clinton’s presidential campaign. Amazon Studios boss Roy Price has been put on immediate leave of absence following reports that he ignored an actress’s claim of sexual assault by Weinstein, and an allegation by a producer on an Amazon show that he had lewdly propositioned her in 2015. Goldman Sachs, which holds a stake in the Weinstein company, said it was exploring its options following the allegations against Harvey Weinstein.